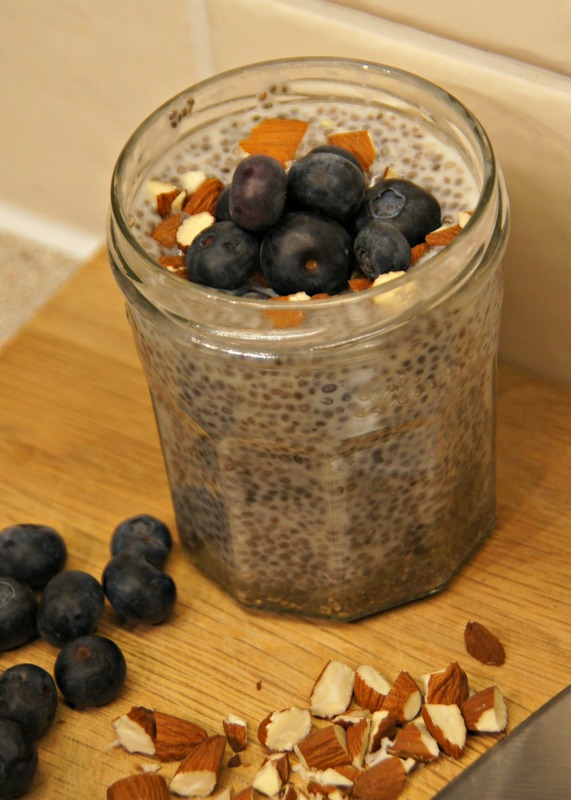 Chia seeds were an important food for the Aztecs and Mayans. They provide sustainable energy to get you through the day, after all “chia” is the Mayan word for “strength” and they contain omega-3 fatty acids, carbohydrates, protein, fibre, antioxidants, and calcium. The fibre helps you feel fuller for longer and I can contest to that, as it was lunch time today before I realised I had missed my normal morning snack as I just didn’t feel hungry. I have had my bag of chia seeds in my cupboard for a few months now but I have been puzzled how to use them and not had the time to experiment but last night I thought enough was enough and after some research I decided I would start simple and this morning I was so pleased I did! Over the next few mornings I am going to conduct a mini experiment with a few different ways to make a chia pudding. I started simple with a straight up blueberry chia pudding but tonight I will be preparing a blended blueberry chia pudding for tomorrow and then tomorrow night I will be combining oats and chia seeds. Let the experimentation begin! 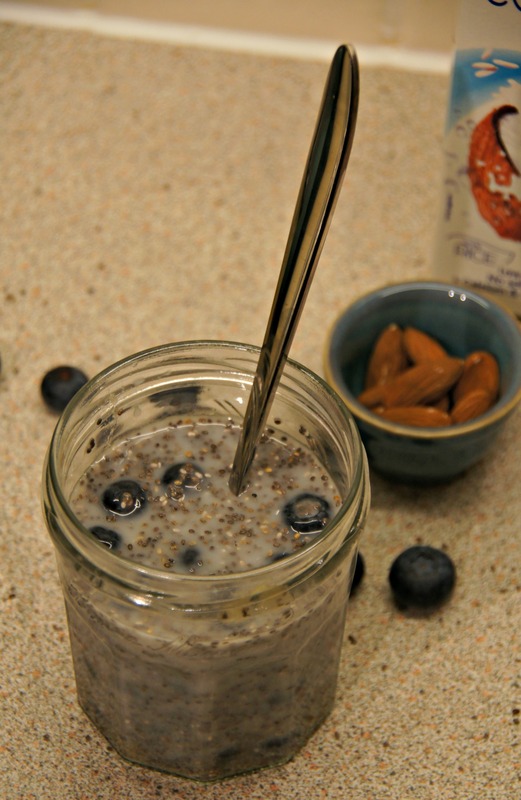 Place the chia seeds, honey, blueberries and milk into a jam jar or bowl, stir and pop in the fridge over night. If you haven’t got chopped almonds, chop your almonds and set aside for the morning. In the morning, remove from the fridge and place the chopped nights and a few more blueberries on top. 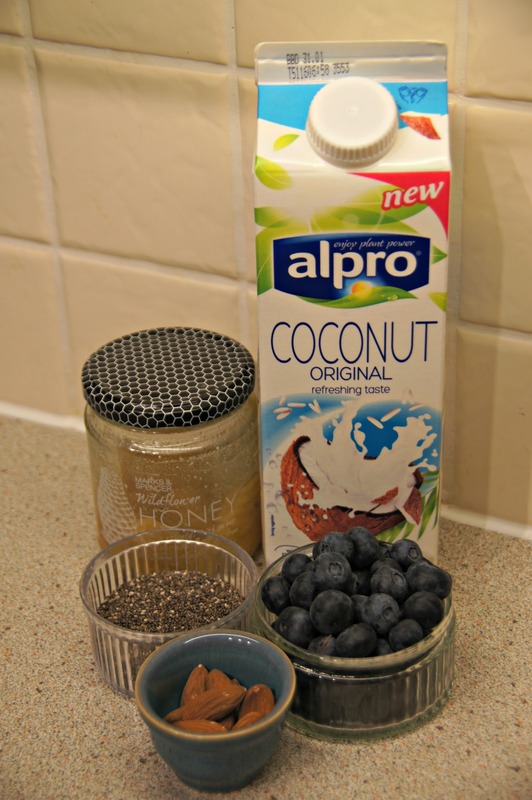 This entry was posted in Breakfast and tagged almonds, blueberry, blueberry chia pudding, chia pudding, chia seeds, coconut milk, dairyfree, energy, gluten-free, glutenfree, honey, shedding the wheat, vegan, vegetarian. Bookmark the permalink.